But on an almost-90-year-old car, imperfections are character. Auto Carriers Ltd. began work on a new six-cylinder engine immediately following the First World War, but it wasn’t quite ready for production and AC still had to pay the bills. Enter the entry-level four-cylinder Royal you see here. It uses a 1.5-liter straight-four rated at 12 horsepower. This car has had six owners from new and has been in the same family since 1954. The four-cylinder AC went out of production in 1928 once the six-cylinder really took off. This car is expected to bring between $20,000-$26,000. Click here for more and here for the rest of this sale. 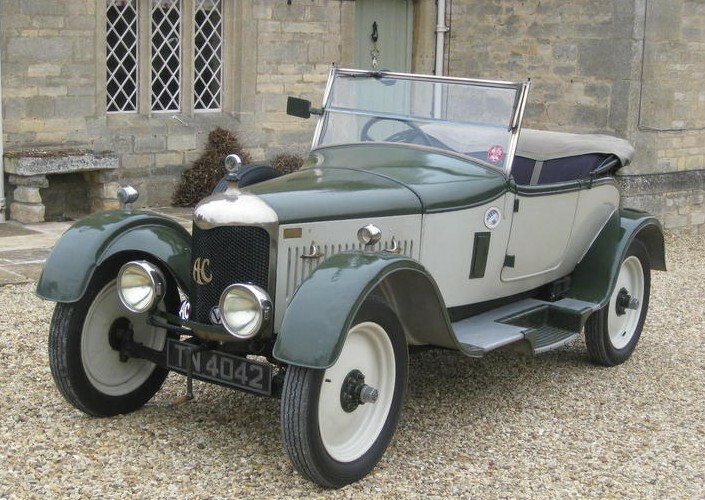 This entry was posted in Uncategorized and tagged 1926, ac, auctions, Bonhams, cars, classic cars, royal, tourer by classiccarweekly. Bookmark the permalink.